Your friend is dying. This is an extremely difficult time not only for you, but for your friend and all who care about him. This article will guide you in ways to help your friend-and yourself-during the last days of his life. Someone you care deeply about is dying. Confronting this difficult reality for yourself is the first step you can take to help your dying friend. You will probably come to accept the fact of your friend’s impending death over time, and it may not be until she actually dies that you fully and finally acknowledge the reality. This is normal. For now, though, try to accept the reality of your friend’s medical condition, if only with your head. You will later come to accept it with your heart. Do respect your friend’s need for alone time, though, and realize that her deteriorating physical condition may leave her with little energy. She may not be up for company all the time. Your friend may want to openly discuss her illness and impending death, or he may avoid discussing it. The key is to follow your friend’s lead. Keep in mind that your friend will experience this illness in his own unique way. Allow your friend to talk about his illness at his own pace. And while you can be a “safe harbor” for your friend to explain his thoughts and feelings, don’t force the situation if he resists. If you can listen well, you can help your friend cope during this difficult time. Your physical presence and desire to listen without judging are critical helping tools. Don’t worry so much about what you will say. Just concentrate on listening to the words your friend is sharing with you. “People can cope with what they know, but they cannot cope with what they don’t know,” I often say. You will be better equipped to help your friend if you take it upon yourself to learn about his illness. Consult medical reference books at your local library. Request information from educational associations, such as the National Cancer Institute or the American Heart Association. With your friend’s consent, you might also talk to his physician. If you educate yourself about the illness and its probably course, you will be a more understanding listener when he wants to talk. You will also be more prepared for the reality of the illness’s last stages. Give your friend permission to express his or her feelings about the illness without fear of criticism. Learn from your friend; don’t instruct or set expectations about how he or she should respond. Think of yourself as someone who “walks with” not “behind” or “in front of” the dying person. Never say, “I know just how you feel.” You don’t. Comments like, “This is God’s will” or “Just be happy you have had a good life” are not constructive. Instead, they hurt and make your friend’s experience with terminal illness more difficult. If you feel the need to console your friend, simply tell him he is loved. Your dying friend will probably need help with the activities of daily living. Preparing food, washing clothes, cleaning the house or driving your friend to and from the hospital for treatment are just a few of the practical ways of showing you care. If you are unable to visit your sick friend due to distance or other circumstances, write a note. What do you say? Tell your friend how much she means to you. Reminisce about some of the fun times you’ve shared. Promise you’ll write to her again soon-and then follow through on that promise. Avoid sending a generic greeting card unless you’ve personalized it with a heartfelt message. If you’re not comfortable writing, consider sending video- or audio-taped “notes” to your friend. Or simpler yet, pick up the phone. Someone you care deeply about is dying and will soon be gone. Odds are you will need support, too, as you explore your own feelings about this illness and the changes you see in your friend. Find someone who will listen to you without judgment as you talk out your own feelings. And don’t forget to take good care of yourself. Eat nutritious meals. Get ample rest. Continue to exercise. Spend time doing things that make you happy. Many hospices offer support groups for friends and family of the dying-both before and after the death itself. 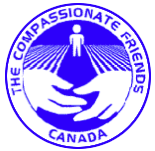 Take advantage of these compassionate resources. Do not, however, avoid your friend altogether. People with terminal illnesses are often abandoned by friends and family, leaving them lonely and depressed. Phone rather than visit. Write if you can’t bring yourself to phone. Let your friend know that this situation is difficult for you while at the same time acknowledging that your friend’s fears and needs come first. On the other end of the helping spectrum, don’t become obsessed with your friend’s illness or feel that you must be her only means of support. Do not emotionally overburden yourself. If faith is part of your life, express it in ways that seem appropriate to you during this difficult time. Pray for your friend and your friend’s family if prayer is meaningful to you. Allow yourself to be around people who understand and support your religious beliefs. If you are angry at God because of your friend’s illness, that’s OK. Find someone to talk with who won’t be critical of whatever thoughts and feelings you need to explore. After your friend dies, you must mourn if you are to love and live wholly again. You cannot heal unless you openly express your grief. Denying your grief, before and after the death, will only make it more confusing and overwhelming. Embrace your grief and heal. Reconciling your grief will not happen quickly. Remember, grief is a process, not an event. Be patient and tolerant with yourself. Never forget that the death of someone loved changes your life forever.